A Tale of Two Cities, does not waste a word in telling a humanly touching, suspenseful tale against the background of one of the most bloody events in history, the French Revolution. This collection of historical documents, collateral readings, and commentary will promote interdisciplinary study of the novel and enrich the student's understanding of the French Revolution and the significant issues it raised. Newlin, the author of Everyone in Dickens and Every Thing in Dickens, has assembled a rich variety of materials. These include excerpts from Thomas Carlyle's work, The French Revolution (along with a discussion of Dickens's debt to that work), primary documents on mob behavior, the Fall of the Bastille, Thomas Paine and The Rights of Man, due process of law, capital punishment and the development of the guillotine, prison isolation, human dissection and grave robbing, voices from prison during the Terror, and colorful extracts from the writings of travelers, victims, and executioners. A detailed chronology of the French Revolution, interwoven with fictional events from A Tale of Two Cities, and sketches of major political, military, and financial figures of the Revolution, will help the student to place the novel in historical context. France's Declaration of the Rights of Man is compared in detail with the American Declaration of Independence and the Constitution. 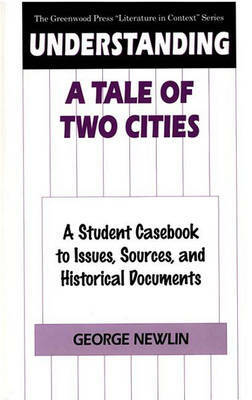 Each section of the casebook contains study questions, topics for research papers and class discussion, and lists of further reading for examining the events and issues of the novel. A glossary of terms unfamiliar to contemporary readers will help elucidate the text of A Tale of Two Cities. This is an ideal companion for teacher use and student research in interdisciplinary, English, and world history courses.